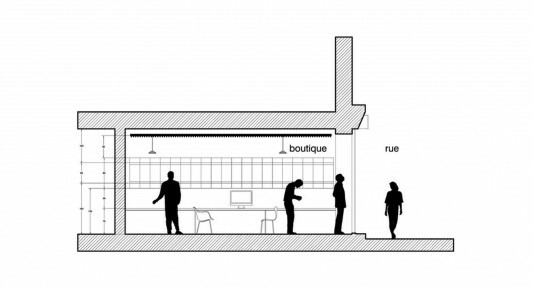 Paris architectural firm Betillon / Dorval-Bory establish their office in a store room on renovation, the place is located in Luxembourg, Paris, and was named Basic office. 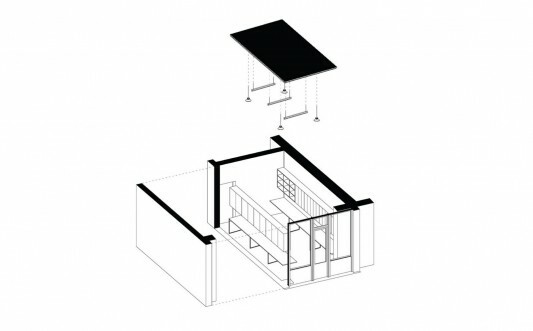 Utilizing 25 square meters that will be used for their office space, the architects decided to keep it simple. Having an open space that allows light from the front windows to flood the back of the room. 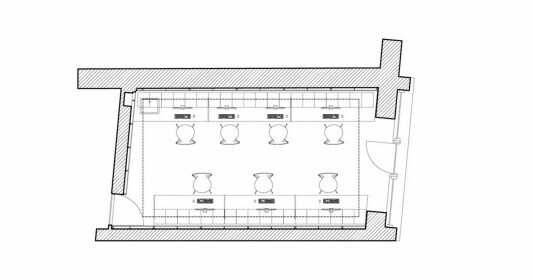 This working space in the two strips are in for the central circulation corridor, allowing for flexible settings. Part workbench made against the wall, which is equipped with storage space above it. 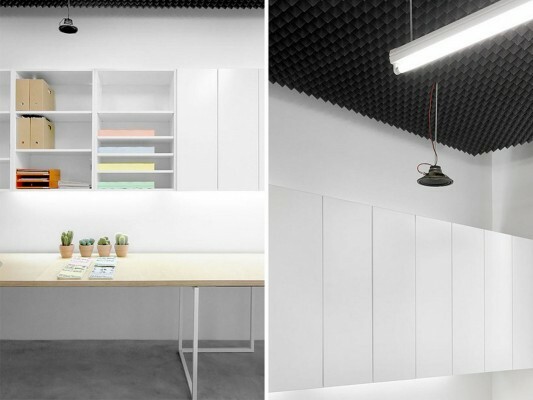 Walls with white, looks cleaner and maximizes lighting from fluorescent lights, which depending on the ceiling. For the minimalist look, use a concrete floor with a linear position of furniture, it gives voice to noise problems that may arise. 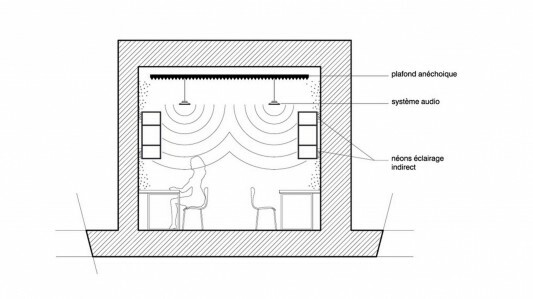 This is overcome by using Pyramidal acoustic foam, which is a sound dampening material is used in the recording studio, mounted on the ceiling and absorb reverberations that may arise. Loudspeakers, which also as a means of entertainment to play music mounted hanging on the ceiling. 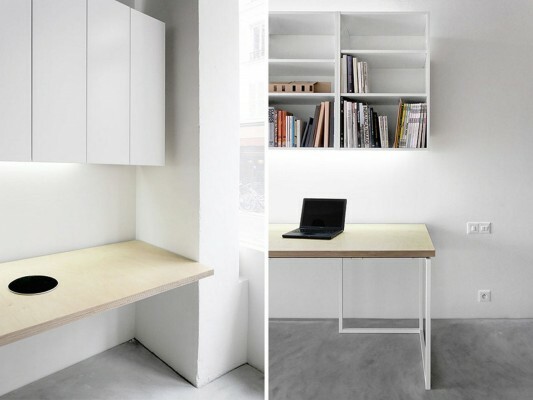 This is an idea to create a minimalist office, and looks keep it simple.